Air travel is now so common that most people have flown to their destination instead of driving at least once in their lives. But with the added convenience of air travel also comes added concerns and guidelines for everyone’s safety. The TSA has made it much harder to get weapons or potential weapons on flights in recent years after past tragedies yet sometimes knowing what you can and can’t take on board with you on your domestic flight can be confusing. 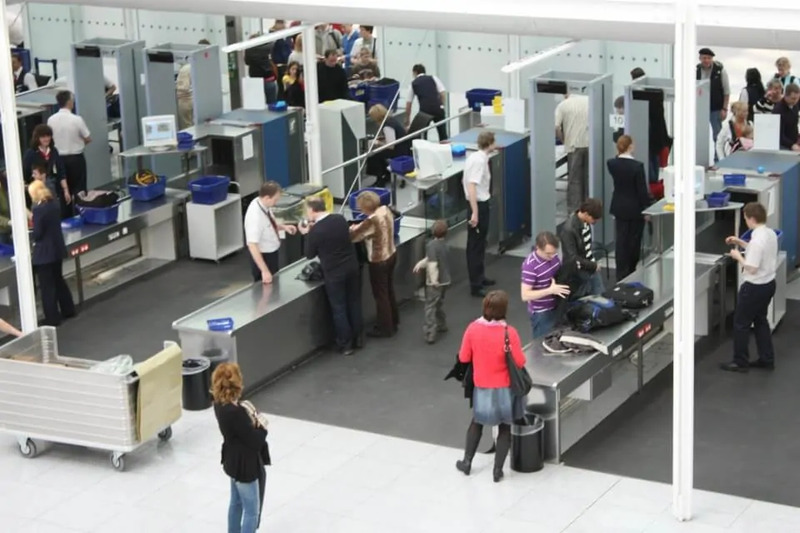 While the TSA does have a list of prohibited items as well as an extensive list of items suitable for each kind of airline baggage, some things you may want to bring with you in your carry on are questionable as to whether they fall under certain categories of restrictions or not. Here are 12 things you probably were not aware are actually allowed on airplanes in your carry on luggage. While success varies with getting weighted blankets on board depending on the TSA agent handling the gate, there are several things that can be done to increase the chances of flying with one as a carry on item. Bringing along identifying information for the blanket will help agents verify the safety of the blanket and its harmlessness. If it is used as a medical aid for PTSD or Autism, consider getting it ordered as such from a doctor. As medical equipment, it can be carried on to the plane without fees. Calling ahead can also ensure whether or not TSA will allow it to travel with you at that particular airport. Most weighted blankets are comprised of small polypropylene pellets that are not restricted from air travel and having a small sample may deter agents from turning your weighted blanket away or confiscating it. Read more on carry on board weighted blankets here. The LACORDE weighted blanket works great as a carry on blanket. It is available on Amazon here or clicking the image above. #2. Vacation Drone Shots Anyone? 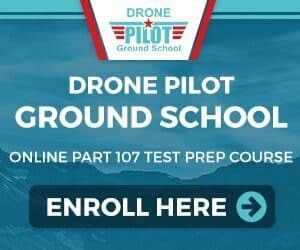 Drones are perfectly legal packed in your carry on but checking with the airport before you arrive will save you time and hassle at the gate if for some reason they do not approve. Try to remember to give the scanner a head’s up that there is a drone packed so they do not become suspicious or require special investigating. One thing to note for drone travel is that there are restrictions on taking batteries for your drone. Each passenger is only allowed three drone batteries and each battery can only be below 100 watt-hours. Be sure to follow all packing safety guidelines for batteries. 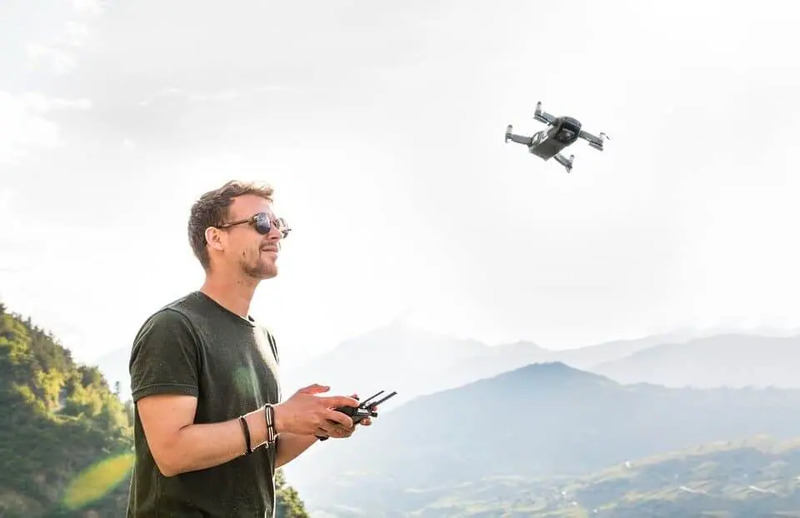 International travel can be much more restrictive of drones in your carry on luggage than domestic flights will be, so depending on your destination special permits may be required in order to get it through customs. More information on the best travel drones with cameras here. The Altair 818 Hornet drone can be carried on board a plane and is very affordable. Available on Amazon by clicking the link or image. Headphones are permitted as carry on items however check before arriving that there are no “electronic bans” in place with the airport. 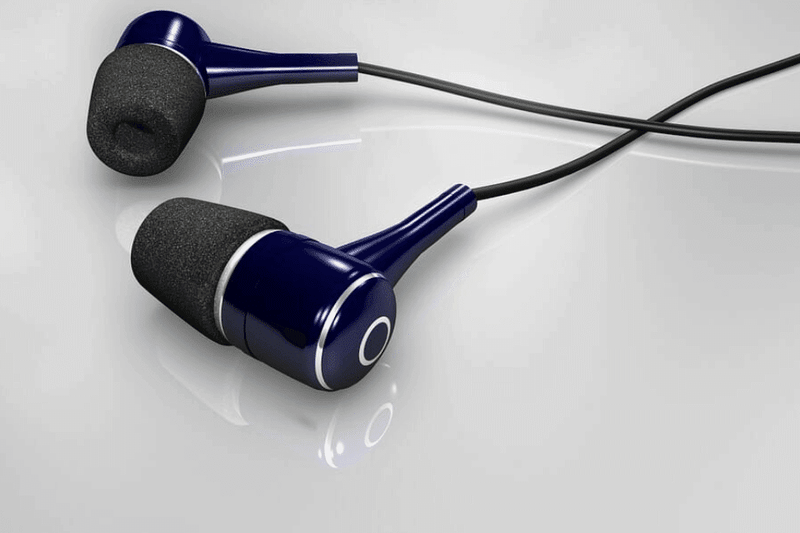 Bluetooth headphones and other newer devices are often more restricted with special rules about when they can be used on board. However, generally wired headphones are not turned away at the gate. There will always be times on board when headphones or other devices will be asked to be turned off but following instructions will keep yours from being confiscated. I personally use the Bose QuietComfort 35. They are amazing. If you are looking for a cheaper option, the COWIN E7 are great. Both are available on Amazon. Read more about them here. 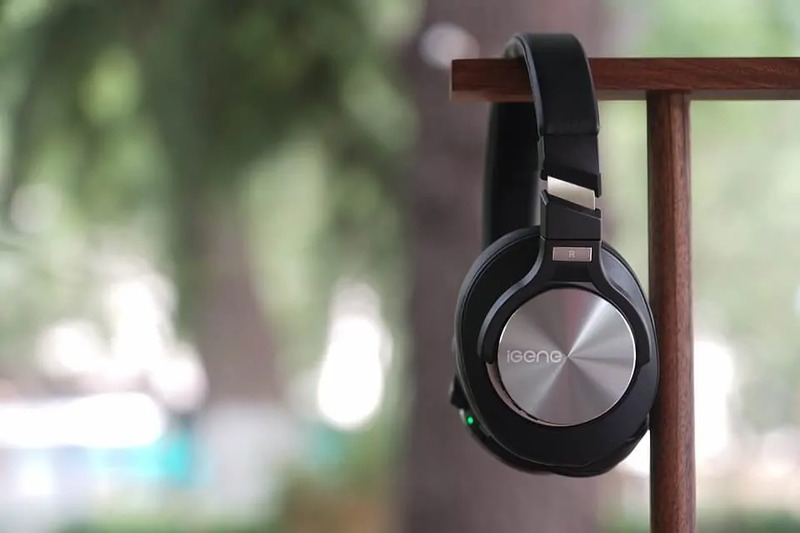 Top 10 Noise Cancelling Headphones For Travel. One bag, quart-sized, with any liquids and toiletry items like toothpaste, sprays, creams, lotions, or gels are allowed in carry on bags. Each item inside is restricted to the travel size containers of (3.4 oz-100 ml) or smaller. This includes alcoholic beverages of any kind. Alcoholic beverages higher than 140 proof are not allowed on carry on bags or checked baggage period. Pro Tip: I never recommend drinking alcohol on board a plane. But it is allowed onboard. Solid foods are permitted in carry on bags, however, any food in liquid or gel form has to follow the liquids guidelines. TSA agents will often ask for food and any other objects that clutter baggage to be removed and repacked for easier scanning. Remembering to pack these items in the suggested ways will prevent delays and make for easier snacking on board. However, through the scanner most foods will be indistinguishable from certain types of dangerous items, so be prepared to open your bag and have agents do a thorough check inside. Laptops and tablets are allowed in your carry on but like other items, they may be asked for removal so that TSA can scan your bag more thoroughly. Special bags can be bought that allow laptops to be screened without removal from your bag and can be carried on separately from your carry on bag. Sometimes additional measures are required to prove to TSA agents that your device is indeed real such as opening up your laptop for approval. Generally speaking though, as long as these items do not restrict the view of all items in your carry on during the scan, it is unlikely you will be asked to open the bag or remove the item. 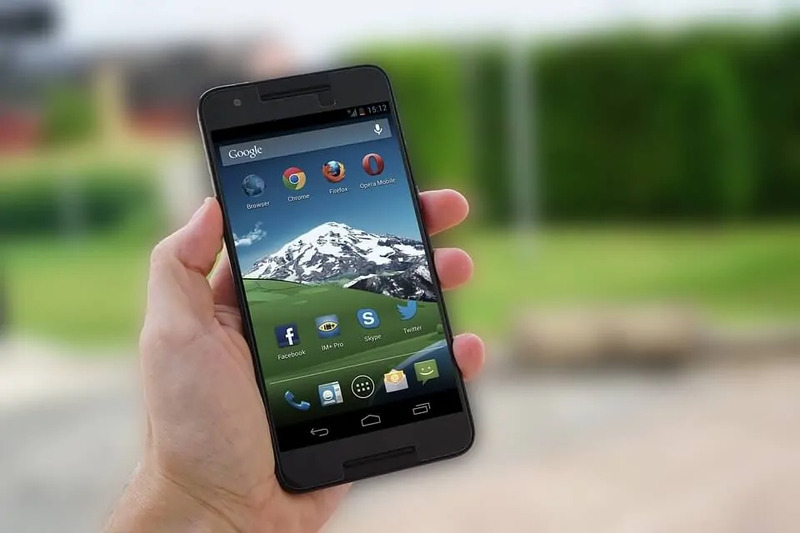 Anything larger than a cellphone, such as a tablet, will be removed however into a bin for the scan if the agent thinks it will hinder their view and will be added back to your carry on after security checks. The Amazon Fire HD is a great option for a carry on board tablet. Check out our other recommended tablets for travel here. Speaking of laptops, batteries for your laptop that are lithium-ion batteries can only be in your carry on bag. If kept in your checked bag, the bag will be stopped and will not be permitted to travel to the proper destination. 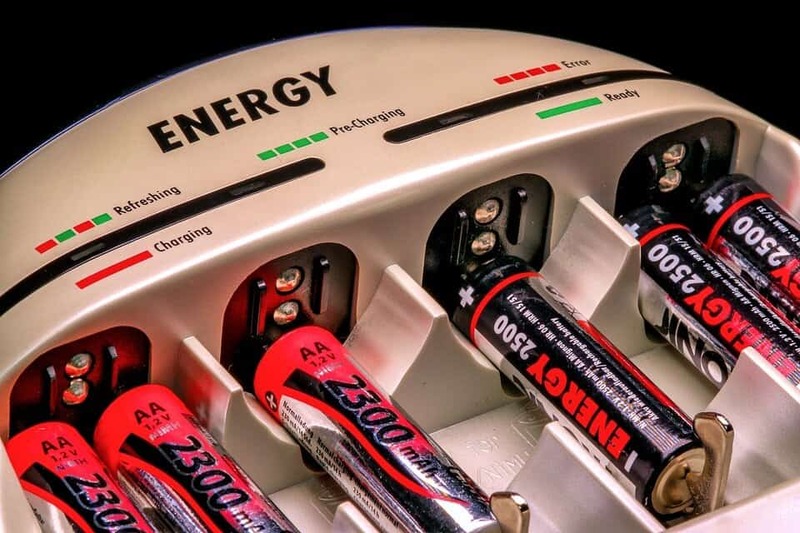 Many other kinds of batteries are permitted in carry on bags as well, such as common AA, AAA, C, D, 9-volt, button-sized cells; rechargeable batteries; standard consumer lithium-ion batteries which about covers every type of battery you will have on you including drone batteries as long as they fall under the under 100 watt-hour rule. A limit of two is placed on the number of larger lithium-ion batteries such as extended life laptop batteries allowed in a carry-on. Large wet batteries such as car batteries are prohibited. Packing batteries safely is important by following guidelines such as packaging separately in small bags and isolating battery terminals with electrical tape to avoid short circuits. Following these procedures will result in fewer incidences of confiscation and any further issues such as busted batteries during the flight. More information on bringing batteries on board a plane here. Travel pillows are allowed with you onto the plane and will not be considered as part of your carry on limit or personal item limit. While some gate agents might have you consolidate a travel pillow with your carry on or personal items, travel pillows are usually small and this is simply to create more room for movement for arriving passengers. There are many options for types of travel pillows as well they are made to take up less and less space such as inflatable pillows and memory foam pillows that are easily folded and stuffed into your carry on bag. The TRTL travel pillow is used by many travelers with great reviews! It is available on Amazon. Some other carry on board travel gear here. Thankfully, many sports items are allowed to be packed in your carry on bag. Baseballs, baseball cleats, basketballs, bicycle chains, bicycle pumps, bocce balls, bowling balls, boxing gloves, fishing poles, football, football helmets, golf balls, golf shoes, golf tees, handball racquets, hockey pucks, ice skates and roller blades, ping pong paddles, skateboards, ski boots and ski helmets, skydiving rigs, snowboards, soccer cleats, softballs, ball pumps and needles, tennis racquet, track spikes, and volleyballs cover most of the permitted items with the more commonly unknown/confusing items in bold type. Check with security before-hand that there will be room on the plane for any large sports equipment in your carry on. #10. Sharp objects aren’t always prohibited! 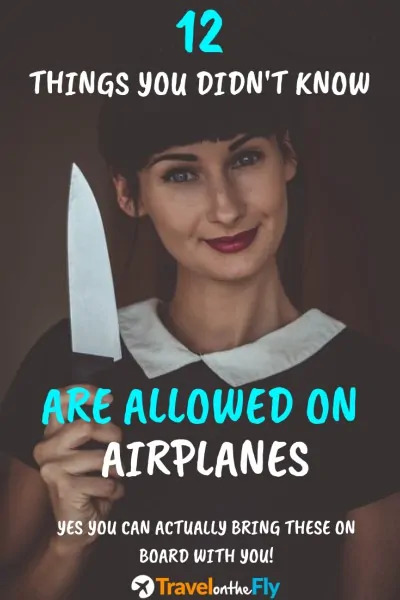 Generally, most large sharp objects such as box cutters, meat cleavers, other knives, and ice picks will be prohibited from your carry on bag. Scissors with blades less than 4 in in length will be permitted. Cigar cutters will be considered under special discretion. Disposable razors are allowed as well as knitting and crochet needles. Rounded plastic knives or butter knives are usually the only kinds of knives allowed in carry on bags. Common items like safety pins, nail clippers, tweezers, and pencil sharpeners can be packed in your carry on also. Each item should be sheathed and wrapped carefully to avoid any danger of stabbing TSA agents and bag checkers. If packed improperly, agents will be more likely to remove these permitted items from your carry on bag. Medicine in pill or solid form has no restriction on air travel as long as it has been properly screened. These medications do not have to be in prescription bottles or containers but each state has its own regulations for prescription medicines and how to carry them so check with your destination to ensure that they will not be confiscated on the other end of the flight. Liquid medications can be packed in higher quantities than the usual 3.4 oz liquid restriction if in reasonable quantities for medical use in flight. You are required to tell agents that these are medical use liquids and are subject to additional screening such as opening the containers when requested to. Having a dedicated medical device or medication bag will make getting past TSA much easier and will not be considered as a part of your carry on limit or as your personal item limit. Electric razors and beard trimmers are safe to pack in carry on bags. There are no special restrictions however you may be asked to remove the battery or open your bag to ensure correct identification of the item to TSA agents if it cannot be verified through the x-ray scan. Again, the TSA agent has the final word on your carry on bag and might pull the trimmer or razor if they do not feel it is safe. Here are my recommended beard trimmers for carrying on board. The Phillips Norelco One Blade is recommended for carry on board. It is available on Amazon. After everything is said and done, the TSA reserves the right to remove any item that the gate agent deems dangerous. Following TSA guidelines and restrictions will prevent most air travelers from being held up at the gate. Hopefully, with these insights, there will less confusion as to what you can bring straight on to the plane with you in your carry on bag. As this article showed, there are a lot of items that are permitted that most people either overlook or would never think it’d be approved. Travelers have more freedom than they think when it comes to certain categories of items and a few restrictions on others shouldn’t stop you from spending less overall on your next airline flight. If you are diligent about the TSA guidelines and each airlines’ own restrictions, your carry on can and will be filled with all the items you want with you on your flight. Please remember that the TSA guidelines can change over time and be sure to check their website if you are ever in doubt of the permissibility of any item you want to take in your carry on baggage. Feel free to leave some comments below and let us know your thoughts on our list! One of the difficult things that many travelers on a plane go through, is luggage organization for carry on bags. Everyone wants to maximize luggage space when traveling on a plane in order to be efficient and save money. When traveling, it can be difficult to decide what to carry and what to leave behind without sacrificing the important items. You need to make sure that your carry on bag is not heavy to avoid additional luggage fees. 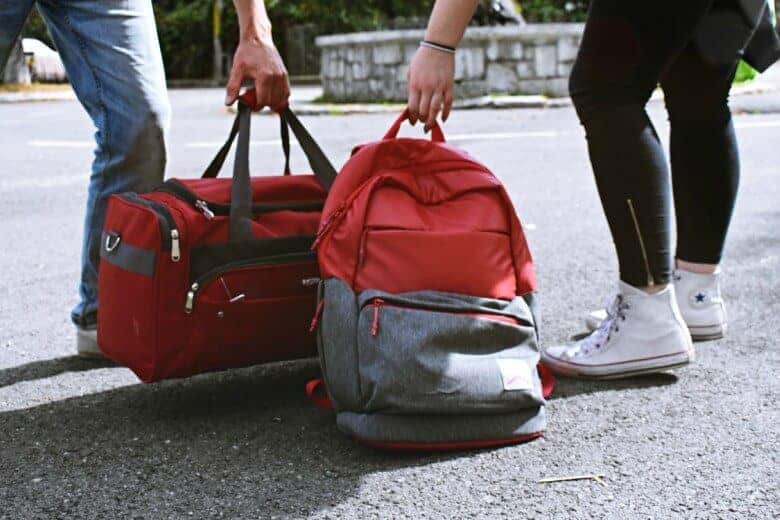 Additionally, carrying a well-organized and lightweight carry on bag is important as it will be convenient for you and it will fit well in the aircraft overhead bin. If you are traveling on a plane, here are some storage tips and solutions to help you with on your carry on bag. The more I travel, the more I am discovering that I really like the idea of packing cubes. They really keep everything organized. They don’t make a mess of your suitcase when you are traveling. The packing cubes on Amazon are great in both quality and price. You want to make sure the cubes you use are good quality and not made with thin material. Good quality zippers are also important. Packing cubes can be used for packing different items in a carry on bag such as clothes and other essentials. If you are a light traveler, packing cubes are the best solutions for you. When you use packing cubes, you make sure that there are no loose items in the travel bag which protects your items from damage and breakages. A huge advantage of using packing cubes is that they come in different sizes and you can pack as many as you want depending on the size of your carry on bag. Most of the packing cubes in the market are well marked for recommendations on what you should store in each bag. Packing cubes maximize space in carry on bags in that you can store as many items as possible in each packing cube and then organize them in the carry on bag. Another great packing tip for air travelers is to roll their items instead of folding. When you fold your clothes, they will occupy much more space compared to rolling them. If you are packing your clothes in a carry on bag, you should consider rolling them as you will make available more space that you can use to store other items. Using this method, you should start with the bulky and heavy clothes first. Make sure that you roll the clothes tightly so that they can become smaller! When traveling on a plane, you need to make sure that you do not exceed the size and weight limits for the carry on bag. The most convenient way, to make sure that you travel with a lightweight carry on bag, is by using a small bag. Most bags that adhere to the airline’s rules are smaller bags around 22 x 14 x 9 inches. 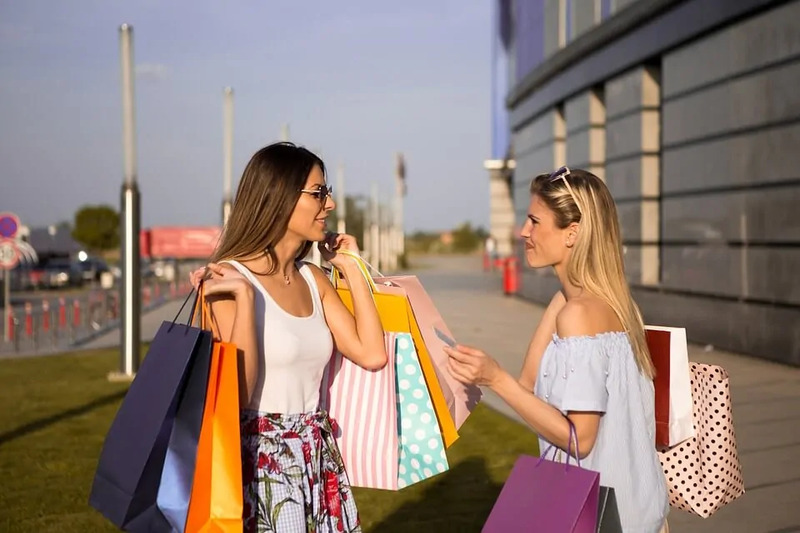 With a small bag, you will be limited to the number of items that you can carry, so you will need to prioritize and determine what you really need to bring. One of the advantages of using a small carry on bag is that it cannot be over packed, and therefore, you will hopefully not exceed the allowed weight for the carry on bag on the plane. When you use a small carry on bag, the organization will be better and unnecessary items will be left behind. Also, it will be easy for you to carry it around with you as you travel. With a small carry on bag, you will be able to know where exactly you stored everything making it easy to reach an item whenever you want. Check out some recommended carry on bags that meet the airline’s regulations here. One of the best luggage organization tips is to pack your shoes at the bottom of your bag. Shoes occupy a lot of space and placing them at the bottom will make sure that the excess space is occupied by other items. It is important that you limit the pairs of shoes that you bring along to maximize space on your carry on bag. Placing the shoes at the bottom of the carry on bag helps in distributing the weight evenly in the bag so that the bag does not become too heavy. Another tip when it comes to organizing your shoes when traveling on a plane is to pack items in the inside of the shoes. Shoes have a lot of space on the inside which you can use to store socks, ties and other small items. You can use the shoes to store fragile items as they will be well protected by the shoes. To maximize more space in your carry on bag, you should wear the bulky items if possible. If you want to carry a bulky sweater, jacket or shoes, make sure that you wear them so that you can have enough space for other items that are essentials. Personal items like jackets are allowed on board the plane. Bulky jackets and sweaters can be difficult to roll or fold, and they will occupy a lot of space on your carry on bag. 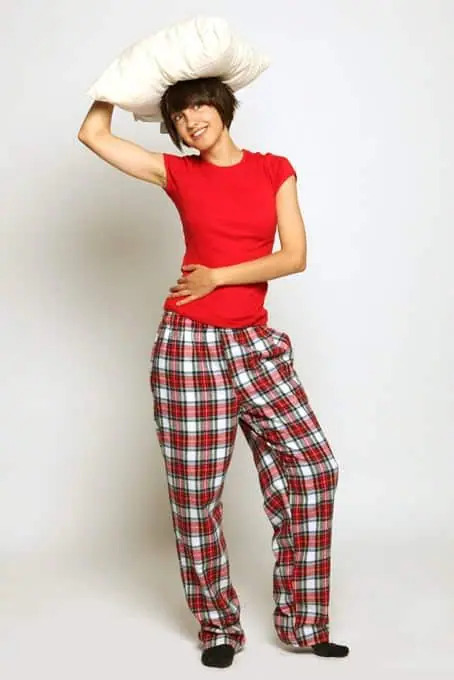 Make sure that you do not carry a lot of bulky clothes as they occupy much space. It is vital to know exactly what you want for the trip to avoid carrying unnecessary items. 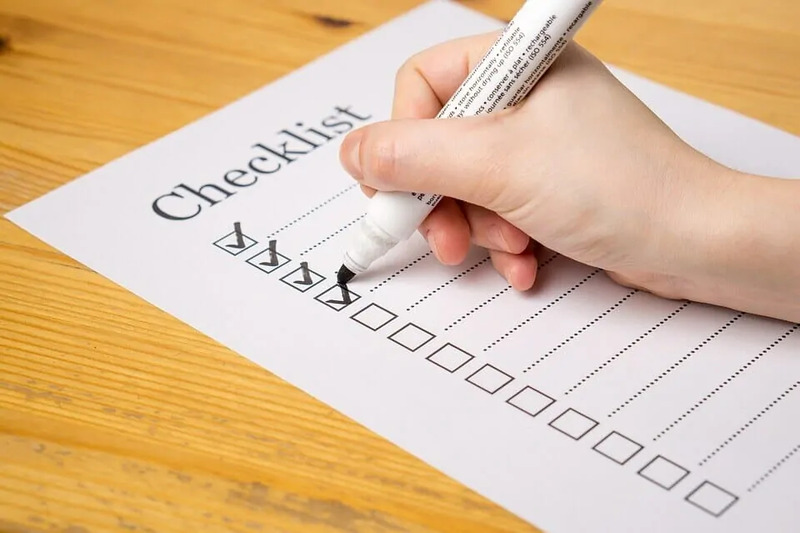 Before traveling, it is important that you make a list of the things that you will need for the trip. Create a list or an inventory of the essentials and pack them first. After that, if there is more space available, you can pack other items. When you have an idea of the things you need to carry when traveling on a plane, it will be easy for you to know the size of the carry on bag that you need. Luggage organization is very important when traveling. If you want to maximize space on your carry on bag, you should learn the above storage tips for luggage. Storing your items well will determine the amount of space you will have and the items that you will carry. If you are planning on traveling, you should start packing early to help you decide what to bring along on the plane. When you have enough time to pack, you will not rush and make last-minute decisions, you will avoid carrying things that you do not need, and you will be able to maximize space in your carryon bag. Airline travel is one of the safest methods of transportation on earth. All airlines, including every staff and crew member, will always put safety first and it is the top priority for everyone in the aviation industry. I can attest to that as I have worked in the aviation industry as a pilot for over 20 years. I have never once seen safety, not a top priority. Air travel safety does not come without its challenges, however. Huge amounts of money and training are involved in certifying aircrew members to ensure your safety as a passenger on board a plane. Sometimes it may not seem that the aircrew has your best interest in mind, but trust me they do! There are many things that you as a passenger can do to help the safety of yourself and others on board the plane. In this post, I will show you 10 Air Travel Safety Tips that you can use to ensure your flight is more comfortable and safe. This is a question that gets asked so often. Everyone who travels is always thinking about it. First-time air travelers are wondering if airline travel is safe, and just how safe is it? The answer is, airline travel is the safest mode of transportation available. According to thenational.ae, Globally in 2017, 4.1 billion passengers traveled by air, with a total of just 50 fatalities from accidents involving scheduled commercial flights. 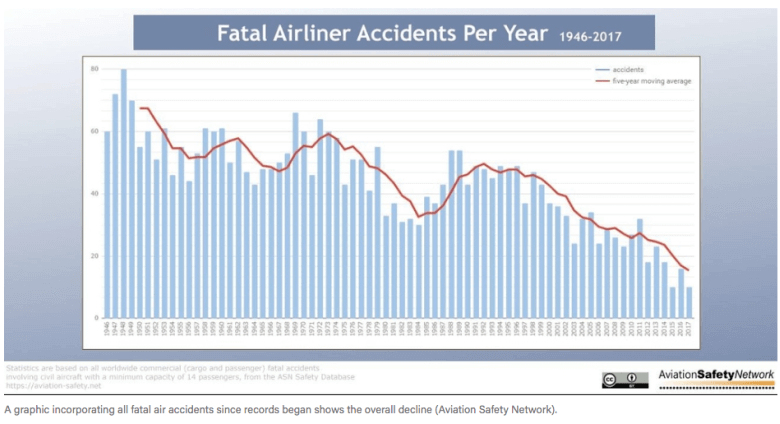 This equates to a fatality rate of 12.2 deaths per billion passengers, representing the safest year ever on record for aviation. This means your chance of being involved in a catastrophic air crash last year was about one in 83 million. Also according to IATA, International Air Transport Association, in 2015 there was one commercial jet accident per 4.5 million flights. So is airline travel safe? Yes, it is. There are many rules and regulations that must be followed when traveling by airplane. Not only do the legal rules need to be followed, but each airline will have its own guidelines and safety regulations as well. The policies and procedures could be different from one airline to the next. My suggestion is to review the specific airlines’ guidelines prior to travel. Most of this information is available online, but you can always contact customer service via telephone. I recently wrote an article explaining some pre-travel checklist items that will help you prepare. Also, more information regarding baggage limits, first-time flyers tips, and other air travel advice can be found here. Here are 10 air travel safety tips that you should follow when traveling on all airlines. If you only end up listening to one of my tips on the list, hopefully, it’s this one. I can’t say this enough. 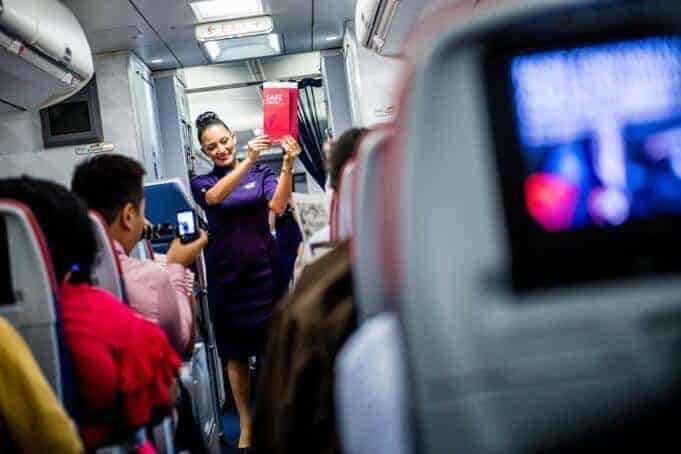 It is so important that every passenger on board listens to the flight attendants passenger safety briefing. I have been witness to thousands of passengers completely ignoring the safety briefings, despite the announcements that require you to do so. This briefing is something that only takes a few minutes of your time and could be critical in a life and death situation. Besides, what else are you doing anyway while sitting on the plane waiting to take off? If you are sitting in the emergency exit row, the flight attendants will give you a special briefing on how to operate the door in the event of an emergency. They will only allow passengers who are willing and capable of accepting this responsibility to sit in this row. Paying attention to the briefing and reading the safety card in the seat pouch just may save your life or someone else’s in the event of an emergency. As an airline pilot, I know the crew members will appreciate you paying attention. Avoid sleeping, playing games, reading the paper or talking during the briefing. Your life just may depend on it! If you do listen to the safety briefing, you will notice that it is mentioned that you keep your seat belt on at all times. Yes even when the seat belt sign is turned off. Which only the pilots can do. It is possible that the aircraft could experience turbulence unexpectantly, and serious injury could result if your belt is not fastened. Not only that, but serious injury to others is possible if you are not secure and interfere with other passengers. Not many people think of this but it is important to dress properly while traveling on an airplane. Being comfortable will help you move easier if needed, and also certain materials like cotton are known to protect your skin. Also avoid high heel shoes, for obvious reasons. Not a great idea to be running from an airplane or going down an evacuation slide in high heels! Here are 10 things you should never wear on board a plane. As part of the safety briefing mentioned earlier, you should always know where your seat is located in relation to the aircraft doors. Most large airliners will have emergency exits at the front, middle and back of the plane. Have a look to see which exit is closest to you in the event of an evacuation. Also, know that the aircraft floor has illuminated lighting directions to point you in the direction of an exit if the visibility is reduced. It is very easy to become dehydrated on an aircraft. The longer the flight, the worse it can be. Drink plenty of non-alcoholic fluids, since the dry air in airplanes causes dehydration. Water is the best choice and try to avoid coffee, tea and fruit juices. Alcoholic drinks are a poor choice for combating dehydration. 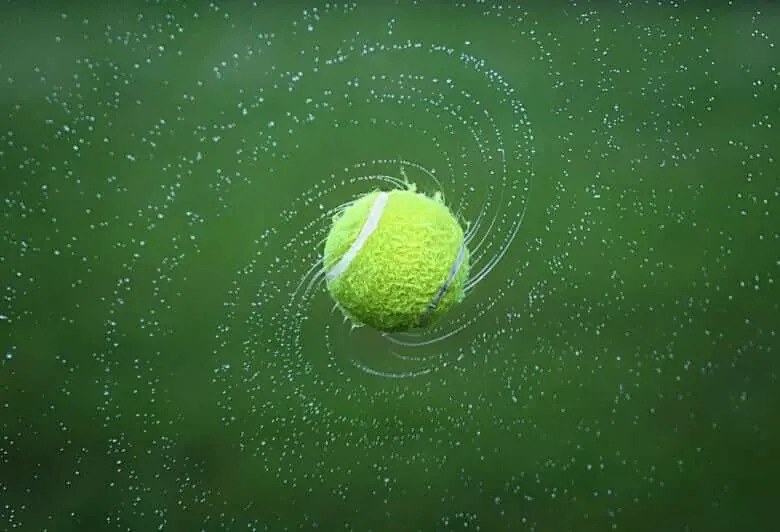 They also have a stronger effect in the thinner air of an aircraft compared to ground level. I have seen it far too many times, someone will have a few drinks in the air and it always leads to a bad situation. Also to avoid Jet Lag, alcohol is not a good idea. I honestly can’t believe how many times I have seen aircrew members being treated poorly by passengers. Some people just have no respect for the people in charge of looking after them and saving their life when called upon. Being rude, incompliant with rules, offensive, or harmful has no place on board an airplane. The airlines have strict policies in place to deal with passengers who behave badly. Most times it ends up in an arrest from police. This type of behavior is not acceptable, it has huge safety implications and won’t be tolerated in any way. This is something to be aware of in the event of turbulence, that the overhead bins may accidentally open. This could cause injury to you or others around you. 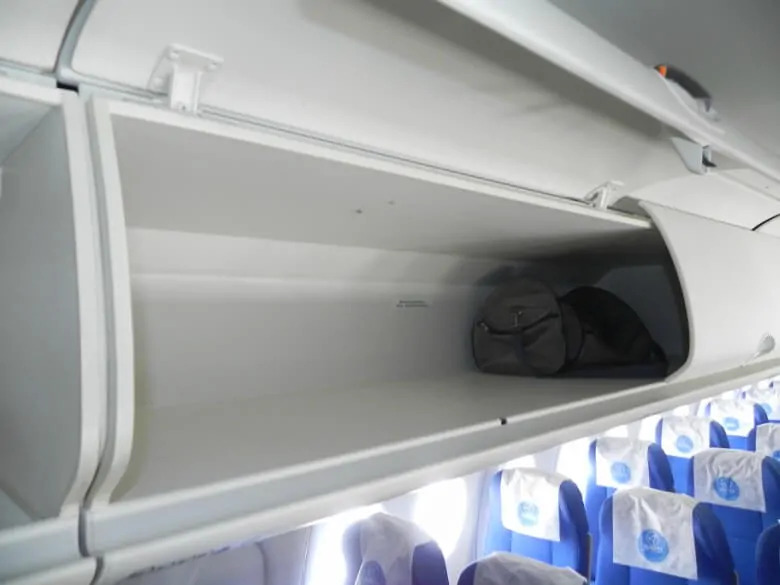 The overhead bins are for storing carry on items, not large heavy items that should be placed in the aircraft as checked luggage. 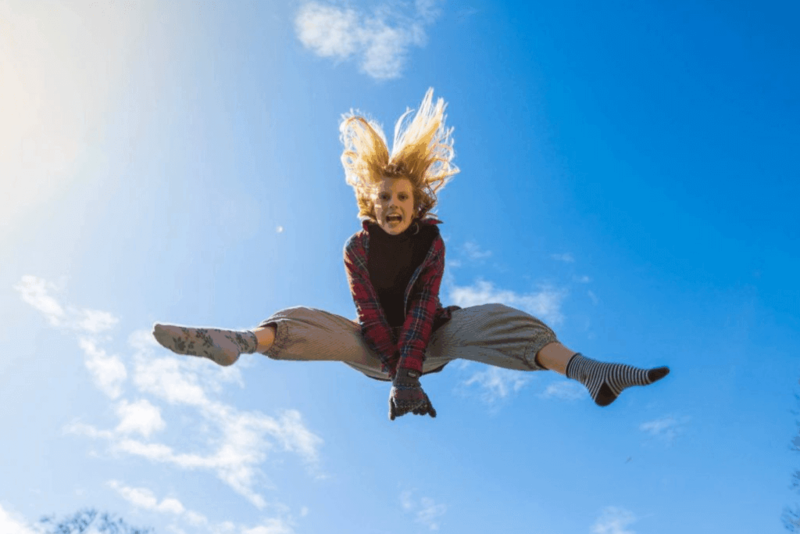 If you are traveling on a long flight, it’s important to know that you can periodically get up and move around to stretch. This is good for your health safety. It’s very common to have poor blood circulation when flying for long times. Walk up and down the aisle, standing for short periods, and try doing twisting and stretching exercises in your seat if possible. This reduces discomfort from swollen legs and feet and prevents poor circulation problems and deep vein thrombosis. To prevent this, I highly recommend a pair of air travel compression socks. These will help prevent swelling and blood clotting on a long flight. They will help keep your circulation going. Perfect for swollen calves and ankles. On long flights, get off the plane if possible at stopovers, and take a short walk around the airport. It can really help. Properly knowing how to use your oxygen mask is crucial. 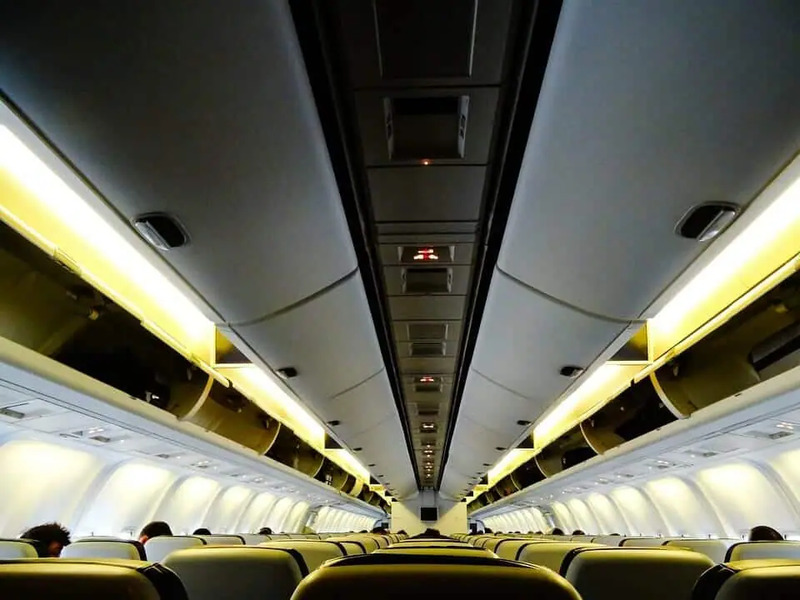 Every seat on board the plane should have an oxygen mask available above your head. This mask will automatically fall down in the event of an unequal pressure inside the aircraft cabin. The first step is to always secure your own mask first before helping other people around you. This is very important due to the fact that you will not be able to help anyone if you are incapacitated. This will be demonstrated during the safety briefing as well. In the unlikely event of an emergency evacuation, it is very important to follow the procedures that are outlined by the crew members. This includes leaving behind your personal belongings like luggage. Trying to get your carry-on baggage from under the seat or the overhead bin delays the evacuation. This puts yourself and others at risk. As you can see, there are many things that you can do in order to stay safe on board the airplane. Following some basic rules will go along way in keeping yourself and others safe. I recommend following these 10 air travel safety tips for all flights you might travel on. The rules apply to everyone. Hopefully, you enjoyed this guide and found it helpful. As always, feel free to leave a comment below and let everyone know your thoughts. The answer is yes you can bring batteries with you on the plane. But hang on a minute, it’s not that simple. There are some guidelines you need to follow and there are many types of batteries to take into consideration. According to the TSA website, “The Federal Aviation Administration (FAA) has implemented safety guidelines for batteries being transported on airplanes designed to prevent fire-related incidents from occurring”. 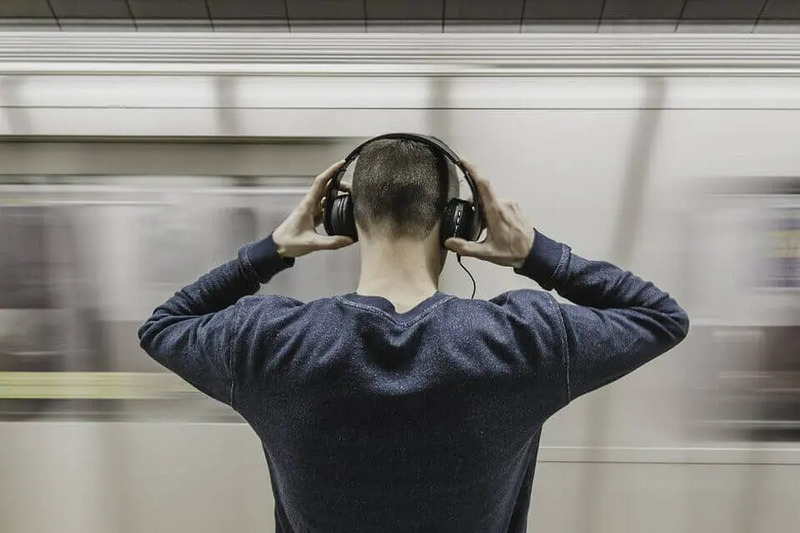 As I mentioned in can you use your own headphones on a plane post, it is always best to check with your airline to confirm what can and can not be brought on board in a carry on bag or checked in luggage. 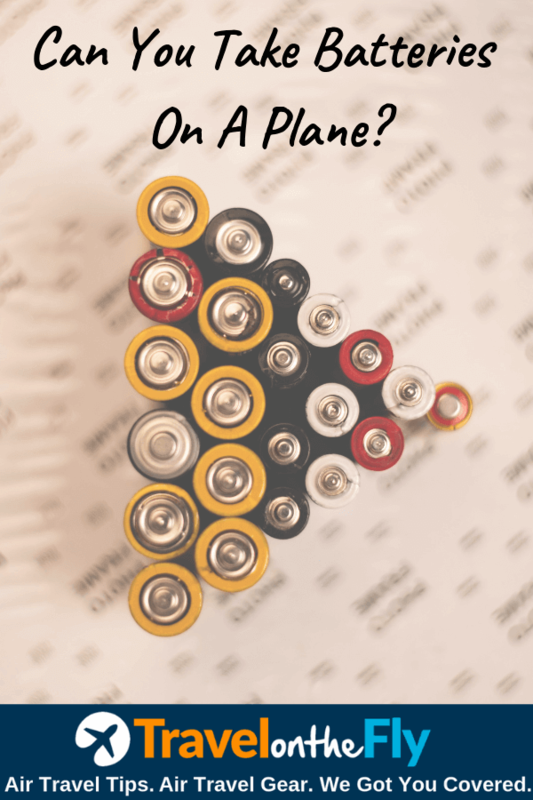 In this post, I will show you the rules and regulations for carrying batteries on board a plane. This includes AA and AAA batteries and Lithium-ion batteries. Can you bring AA or AAA batteries in your hand luggage or carry on bag? Yes, you sure can. Actually, if you have any dry cell alkaline battery such as AA, AAA, C, D, 9-V, small button cells, they are all allowed on board. You can also put those batteries in your checked luggage as well, but it is recommended that you bring them on board with you. There is really no restriction with regular alkaline batteries. You can leave them in their original packaging if not opened, or if you have many batteries to bring, I suggest using a battery case like this. Can you bring Lithium-Ion batteries in your hand luggage or carry on bag? Yes, you can. Any rechargeable lithium, lithium polymer, LIPO, secondary lithium are all allowed on board. Let’s look deeper into what you can and can not do with Lithium-Ion batteries. Basically, you will have 3 different scenarios when traveling with Lithium-Ion batteries. Lithium-Ion batteries that are less than 100 watts are allowed on board. This includes most consumer sized batteries that would fit most electronics such as cell phones, laptops, cameras, games. Lithium-Ion batteries that are less than 100 watts also can be packed in your checked in luggage. Most Lithium-Ion batteries that are already in your components such as a camcorder or a drone are under 100 watts so they can be carried on board or checked in. If you have a spare battery, regardless if it is under 100 wats or not, it must be carried on board the plane with you. it cannot be packed in your checked luggage. What if the battery is over 100 watts? TSA has a limit of 2 batteries if they are over 100 watts. They also cannot exceed 160 watts. They must also be carried on board with you. They cannot be packed into a checked luggage bag. How do you prepare your batteries properly for travel? This is something you want to pay attention to. You can prepare your batteries in 3 ways. Leave them in the original box or packaging. If you have a larger lithium-Ion battery, let’s say 98 watts, it’s best to just leave it in the original packaging. If you don’t have the original box, you can put electrical tape over the contacts. Use a zip lock bag. If you have a component with a battery installed, you should make sure it is packed properly so the device won’t turn on accidentally during the flight. You can tape the on/off switch into the off position. Battery chargers are also allowed on board and allowed to be packed in your checked luggage. If you have a charger that requires the battery to be installed in order to charge, make sure the battery is removed before packing. In general, as long as you follow the mentioned rules and follow the TSA guidelines, you won’t have any issues with airport security. Sometimes you will be asked to turn on a device like a laptop to ensure it is functioning. If the device already has the battery installed, chances are you won’t be asked to remove it. But that can change so just be aware of it. What batteries not allowed on board the plane? Here is a great video explaining the TSA battery restrictions. For the most part, you will have no issues bringing your batteries on board the airplane with you. As long as you follow the TSA guidelines that is. With the increased popularity in drones nowadays, there is concern about traveling with a drone due to the batteries. But the same rules apply. Both alkaline and Lithium-Ion batteries should be allowed providing you follow the regulations of both the airline and the government policies. Remember to contact the airline beforehand if you have any concerns. Also, there shouldn’t be any issues with airport security confiscating your batteries. So you won’t need to worry about that. There are several other topics on our site regarding carry onboard items, feel free to browse through the articles. Every now and then, we can all use some helpful tips and advice. If you are planning a special getaway or perhaps going on a business trip, it’s important that you do things right and follow the rules. There are some special tricks of the trade sort of speak that will help you along the way. I gotta say, after traveling around the world for over 20 years, I managed to pick up a few helpful tricks. 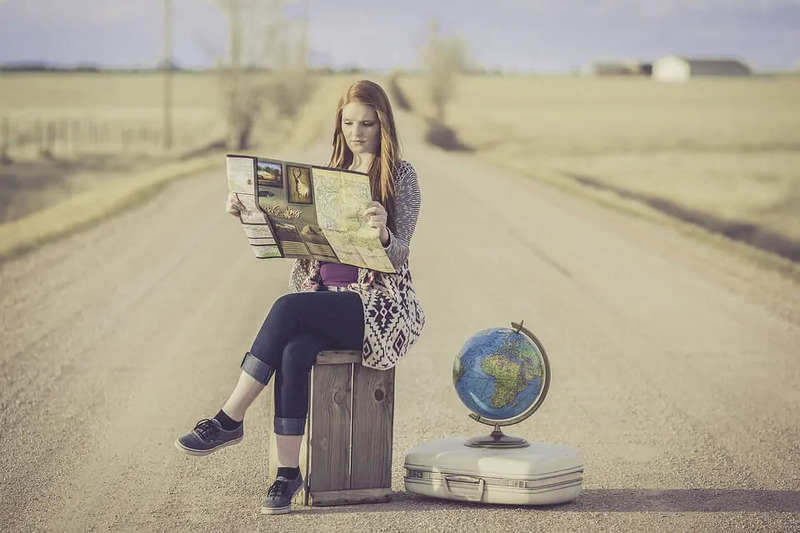 I have put together a comprehensive list of essential travel tips and hacks that you must know to make things a bit easier for you. You can usually check in up to 24 hours before your flight and it can save you a lot of waiting time at the airport. You can actually save time and money. By checking in online, you may also save in baggage fees as some companies will charge extra if you wait to check in at the airport. You never know when you can lose them or perhaps a bag gets stolen. Passports, tickets and anything important, you can make copies of. You can also leave copies with a neighbor or friend if something happens and you lose everything. If traveling by air and plan to sleep, you should try to book a window seat. 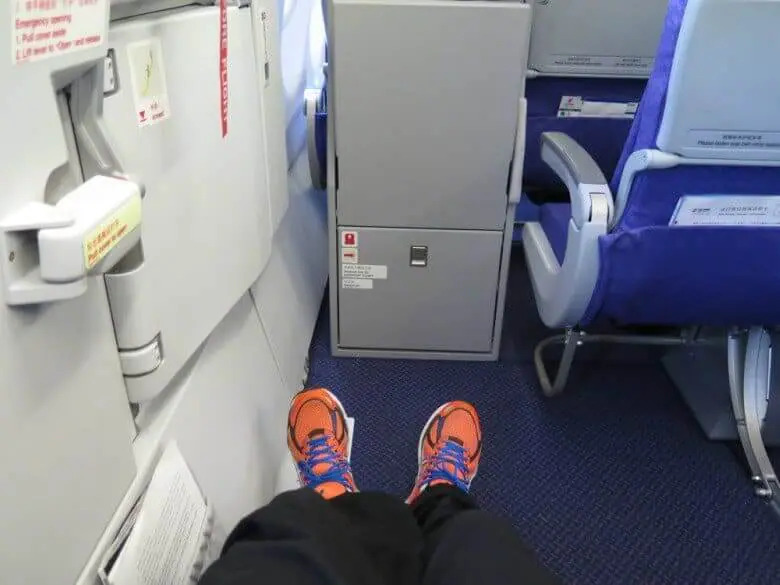 Especially on long flights, you will appreciate a place to lean against and rest your head. If you decide to sleep on the plane, keep your seatbelt on so the flight attendant doesn’t have to wake you in the event the seatbelt sign comes on. Trust me on this one, bring snacks with you on board the plane. You are allowed to bring snacks, and just in case the airline doesn’t have food that you can eat or want to eat, it is nice to have your own treats. Most airlines today have strict guidelines on the number of bags you can bring plus the maximum weight of the bags. The excess baggage weight fees can really add up and you don’t want to be surprised at the airport when checking in that you need to pay more money. I recommend using an inexpensive luggage scale like this one to weigh your bags prior to departing. If traveling internationally, this is a must-have item. I made the mistake of forgetting mine and wasn’t able to charge any of my devices until I was able to find one locally and paid a lot more for it. Save the hassle and bring one like this with you. Recent regulations now state that you must pack battery packs and lithium batteries in your carry on luggage. You can not pack them in your checked luggage. Learn what to pack in a carry on bag and restrictions here. We all know that luggage space is at a premium. If you want to get more into your luggage, use packing organizer cubes. These are amazing for saving space. Keep your information and money away from thieves. Use an RFID blocking wallet or travel organizer. RFID-blocking wallets are designed to help block you from electronic pickpocketing, called RFID skimming. Not many people take advantage of travel apps. They can be a huge benefit for you, and there is an app nowadays for everything. No matter where you are traveling or what you are looking for, there is an app for that! I don’t know how many times this happened, but it’s just my luck that the entertainment system in the seat I was sitting in on the plane was broken. Go figure. Don’t let that happen to you. You can bring along your favorite book, tablet, laptop to watch movies and listen to music or play games. I recommend keeping your tablet or laptop small as space is limited, and who wants a clunky device with you on a plane? Check out the best tablets for traveling here. If you show up for your flight and it is overbooked, chances are they will ask for volunteers to take another flight. In the event that the flight is full, and there are no volunteers to switch flights, the airline will offer vouchers and flight discounts to get you to switch. Don’t accept the first offer. Chances are they will keep increasing the offer until someone accepts it. This could include a cash bonus, a reduction in airfare, airline credits. You could even end up with a free flight. Some countries may require you to get vaccinated for certain diseases, before granting you access into the country. Make sure you look into this well in advance so you are not rushed last minute. If you are not worried about the time of your flight, most airlines will offer the red-eye or all night flights for a cheaper fare. If you want to save a few bucks, take an overnight flight. Sometimes the price difference can be substantial. Even though it is convenient to change your currency at the airport, it is usually a better option to change it at a bank or at a currency changing facility. The airports tend to be more expensive. In today’s changing world of technology, it is becoming easier and more convenient to care for our homes while traveling. Smart home technology is becoming more and more popular among travelers. 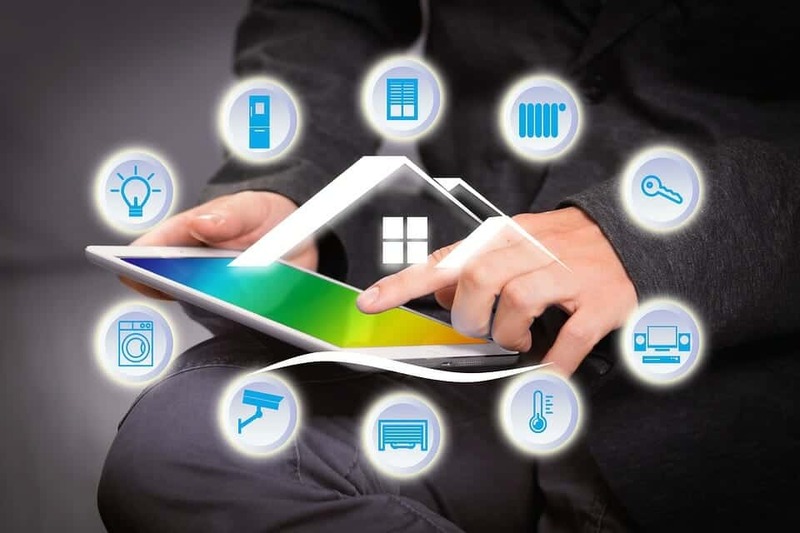 You can now use your smartphone to control many things like lights, temperature, cameras, door locks and much more. Read our smart home technology for travelers guide. 18. When you are traveling it is smart to pack light. There are always washing machines inside hotels now which you should take advantage of if your trip is beyond a couple of days. My suggestion is that you should wash your clothes and wear again. Shopping while traveling could lead to more products in your suitcase and less room. Another reason why it’s a good idea to pack light is that excess baggage fees can cost an average of anywhere from $30 – $50. Most airlines permit you to bring one carry-on as much as 50 lbs and single checked bag without charging you more for the weight. Always check with your airline first. You are able to avoid costly travel fees, by leaving some stuff at home. It’s not necessary to pick a different outfit for every day that you will be gone. Nice, but not necessary. Instead, pack items which are useful and can be worn in different ways. It’s more economical to wash your clothing at your destination than to pay the hefty luggage fees at the airport. To help you pack light and save money, I recommend using these Luggage Packing Organizers Packing Cubes Set for Travel. Most likely, the best time to purchase an airplane ticket is at the start of the week either on Tuesday or Wednesday. Also, purchase in advance and don’t wait till the last minute to book airline tickets or hotels. The longer you wait, the more expensive it will be. Booking hotels online are the best way to find nice hotels at discounted prices. Hotel companies most often have to buy two nights stay, gain one free deal. If you have the option of getting someone to pick you up and drop you off at the airport then go for that. Do not be afraid to ask. It can also save you money by buying a shuttle pass online. Sure it could take a little more time, but that time will save you money to spend on something else or just keep. Making the most of tour packages is a powerful way to travel with limited funds on budget. Research different packages online for the finest and best deals. Tour Packages often comprise things such as travel, and meals allowing you to save a bit extra. It is possible to go it alone and research different packages yourself online or you may get a local travel agent to help do this for you. Of course, it might cost extra to use a travel agent so weigh your options at the time. There are plenty of different kinds of extra insurance, protection, special seating arrangements, and upgrades that companies will offer you. But you can just refuse them if they don’t make financial sense to buy. 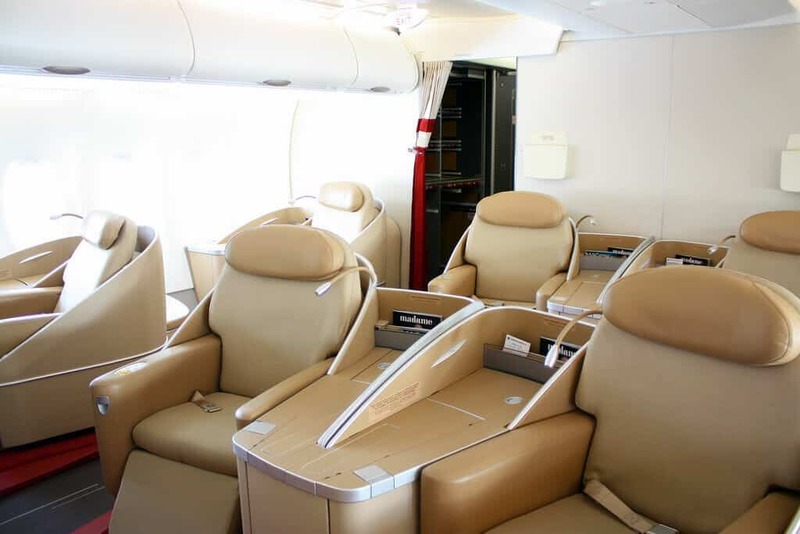 It would be good if V.I.P treatment was less costly, but upgrades can be very expensive. While traveling from point A to point B, the cheaper travel options will still get you there just as the expensive options would. The difference in savings can really add up. Extras cost extra. This can be a long shot but worth checking out before you travel. Split ticketing is actually getting a one-way ticket from where you reside to a foreign destination and buying another one-way ticket in the foreign destination back home. The price difference may be $1,000 or greater. But it might only be to your advantage if the foreign target country has a weak currency. So do your research first and see if this is something worth doing. It’s possible but not probable. 22. Buy a Flight and Hotel package. Many times I have seen a package deal cheaper than just buying a single flight. Happens all the time. Booking a hotel and flight package together can save you some cash. 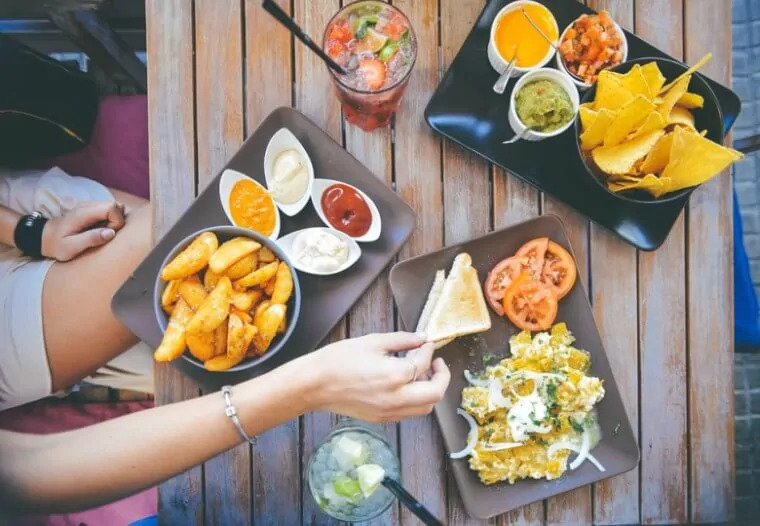 Even if the hotel is not exactly what you wanted, it could save you some serious money by booking a flight and hotel package deal at the same time. 23. Don’t Carry a Lot Of Cash. Carrying money while you’re on vacation just isn’t feasible nowadays. This is mostly true if you are traveling to a high tourist zone. Making use of ATM cards, credit cards and verified traveler’s checks now is stress-free and safer. Since ATM and bank cards require pins to be used for getting your cash, it is less likely to have your cash stolen should your card go missing. Verified traveler’s checks require you to sign them at the point of use. This will definitely protect you. To help keep your money safe, I recommend this Travel money belt with RFID blocking. 24. Know The Foreign Exchange. This is an essential rule because it will allow you to pre-plan the amount of money that you will need for your journey. 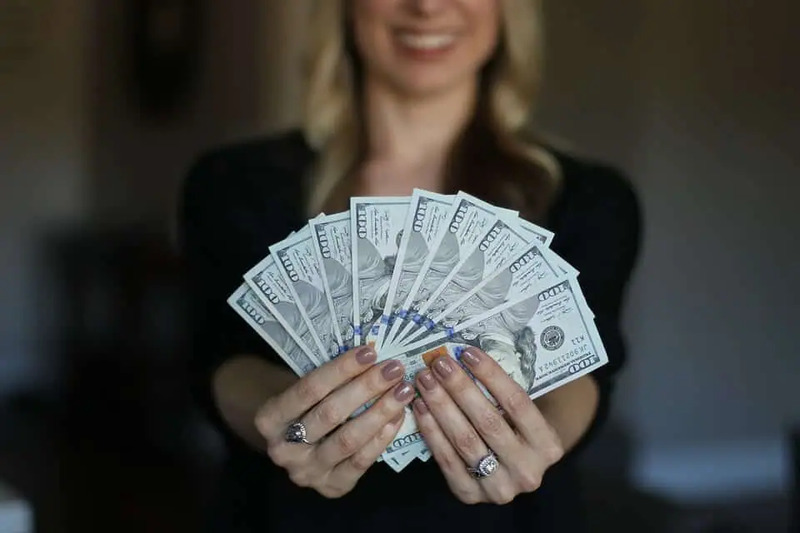 Understanding the foreign currency of the country you are traveling to, can considerably lower your expenses. Plan to bring what you need to meet your expenses, and not bring extra will reduce the chance of overspending on unnecessary items. 25. Plan How You’re Getting Around. Plan in advance how you will move around when you get to your destination. Would you like to rent a vehicle? Will you choose to move around on a bike? Bus passes? Taxi service? These are imperative questions you should ask yourself to ensure your journey is on budget. Rental vehicles can be much cheaper on weekends when there is a surplus of vehicles available. Weekend rates usually are better than daily rates. 26. Many hotels always have free evening entertainment for every guest. You can save money by taking advantage of free entertainment in the hotels. Going out to nightclubs, dinner, theatres, concerts can be very expensive and most times the entertainment provided by the hotels are great. Even if it’s not free, you will save considerably. 27. Set a daily spending limit. Prior to your trip make sure that you have decided how much cash you are willing to spend every single day. Do your best not to go over your budget. Stick to it! It can really help save over a longer period of time by setting spending limits. Overspending can be very tempting while on vacation, but never a wise choice to make! Hopefully, you found these tips and tricks helpful. As always, feel free to leave us a comment and let us know your favorite tip!